Are you looking for a fun and unique location for your next Sporting Group, Social Club or corporate event? Why not consider St Marys Indoor Shooting Centre! Under the careful guidance of Range Officers you and your teammates, friends or colleagues can learn more about the safe, fun and unique range of shooting activities. 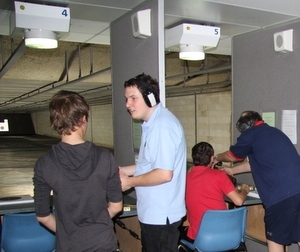 St Marys Indoor Shooting Centre caters for group bookings of between eight and twenty people and offers a discount of 10% for groups of ten or more. Perfect for a work, sporting team or social group visit. For more information or to reserve your place please contact us on 02 8889 0410.